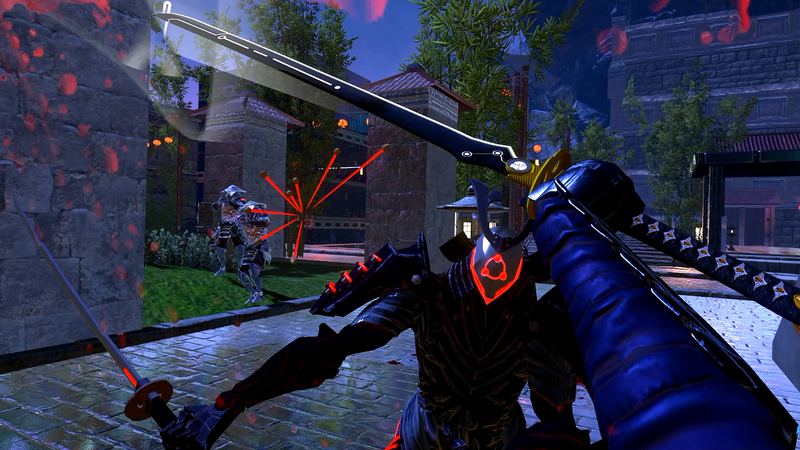 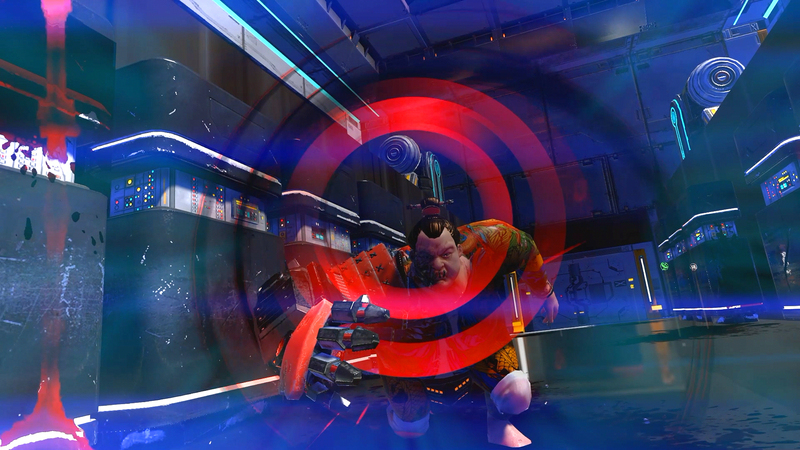 Special Feature | Players can record their cool ninja moments from a 3rd-person perspective from within the game. 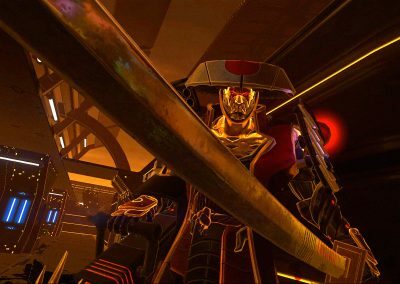 Chosen to be a Silent One for your outstanding character and trained by a sensei skilled in the art of ancient Japanese martial arts and modern fighting, you not only yield a mean katana, but are also skillful with guns and projectile weapons. 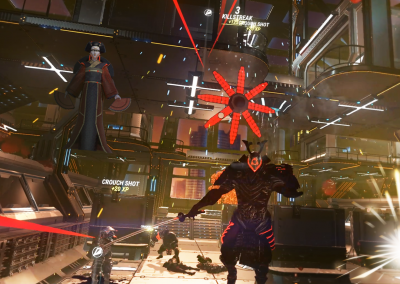 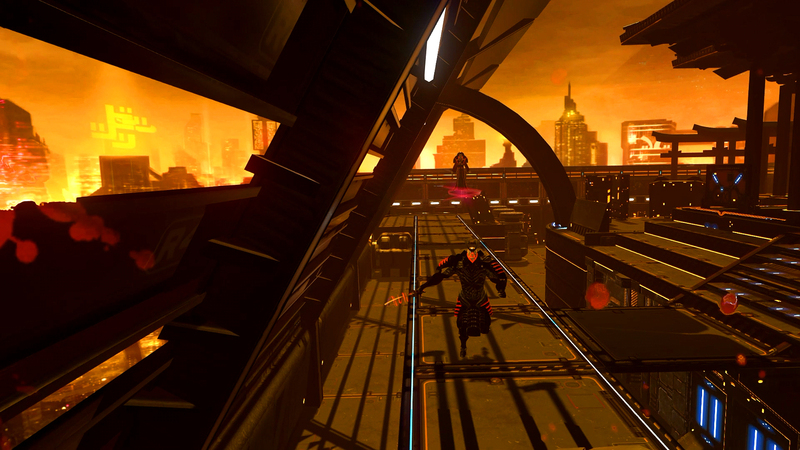 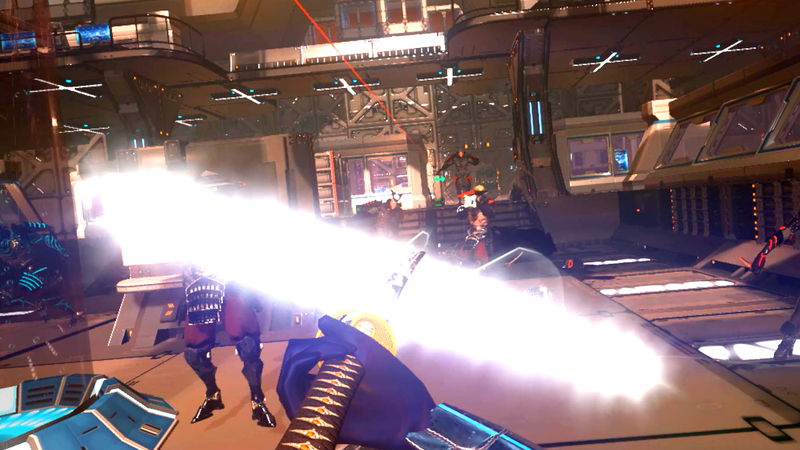 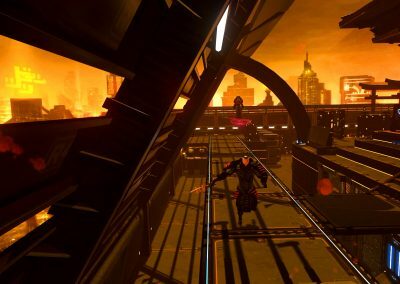 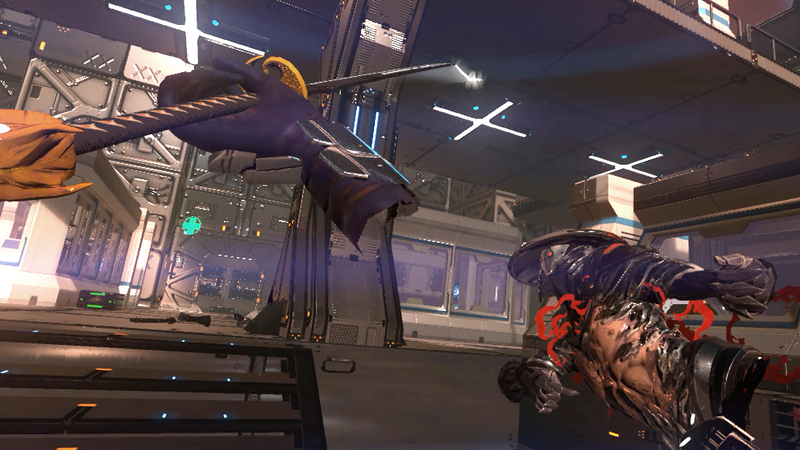 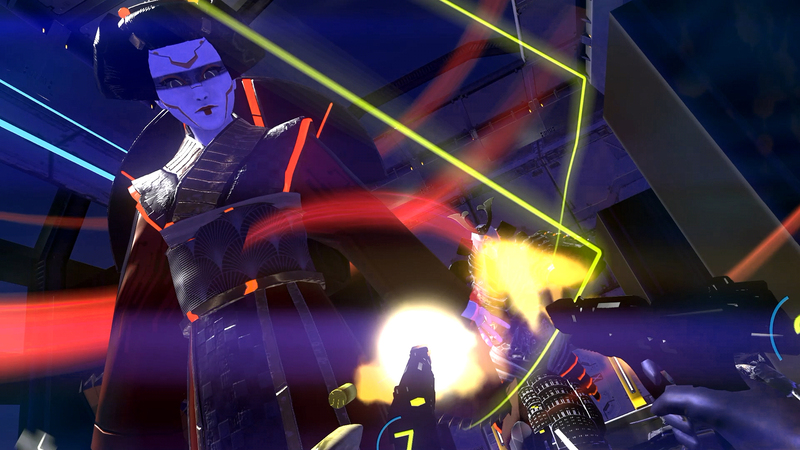 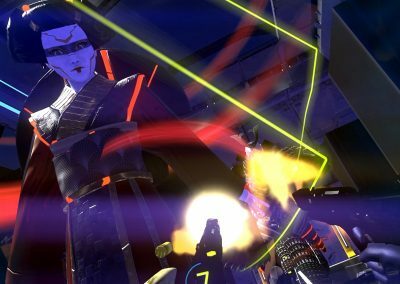 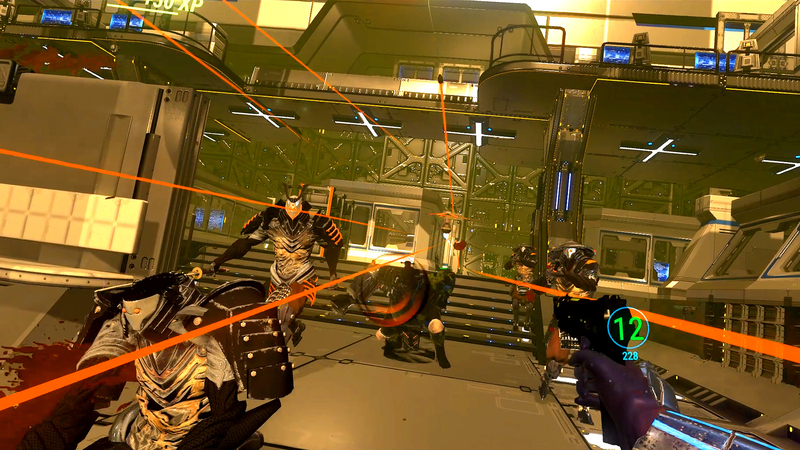 Built for non-stop slash and shoot action, Sairento aims to set a new standard in VR games in terms of excitement and engagement. 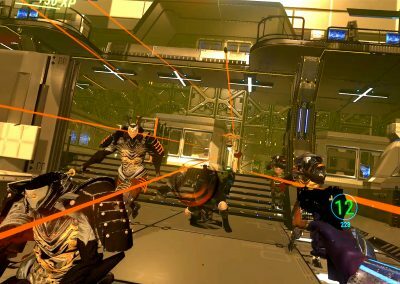 • Engage enemies using our innovative combat system, allowing you to fight in slow motion and parry incoming projectiles like a boss. 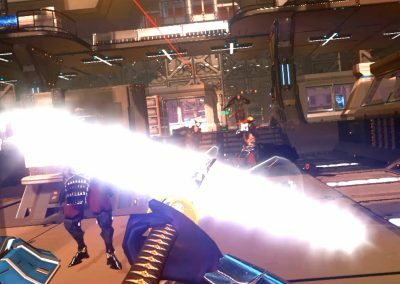 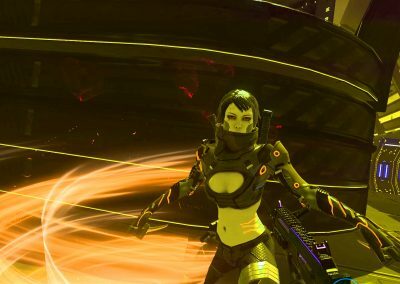 • Cut your enemies down with a futuristic katana or blast them to smithereens with good old fashioned guns. 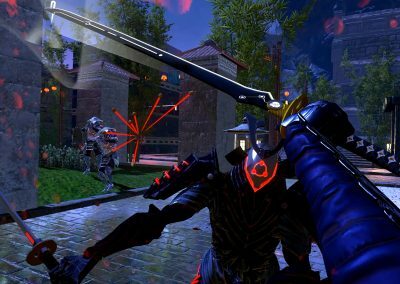 • Fancy hurling blade beams from your katana? 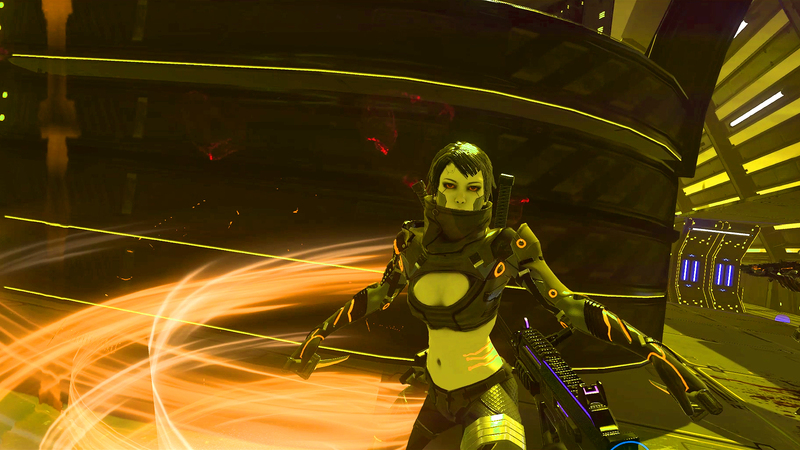 You can do so by upgrading your abilities and weapons as you accumulate experience from completing missions. 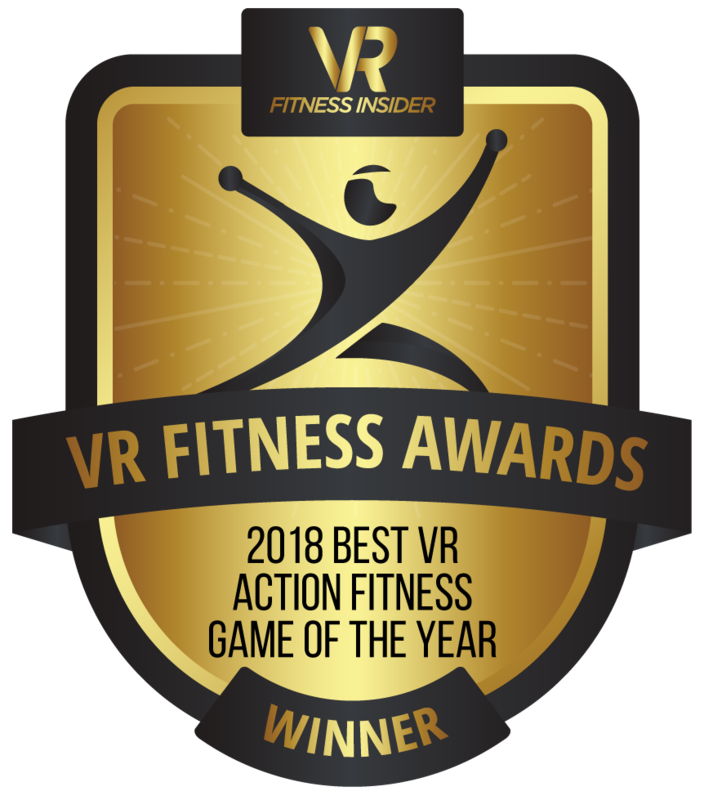 • Leap 15 feet into the air, perform double jumps, run across walls or slide across the floor like only a true action super star could. 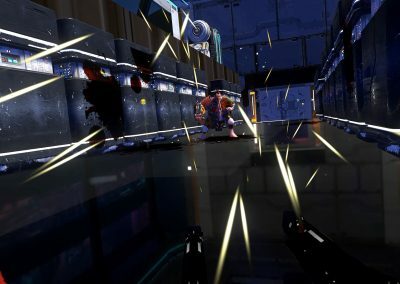 • Fight enemies ranging from mutated samurais and disappearing ninjas to creepy robot ninjas and towering sumo wrestlers. 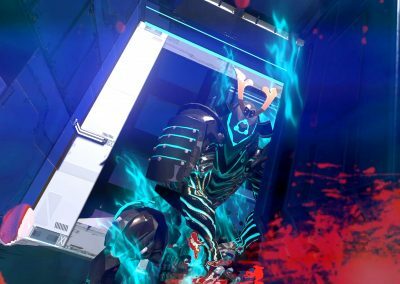 • Traverse a reimagined futuristic Japan in locations like a temple, atop a speeding train and other exotic locations. 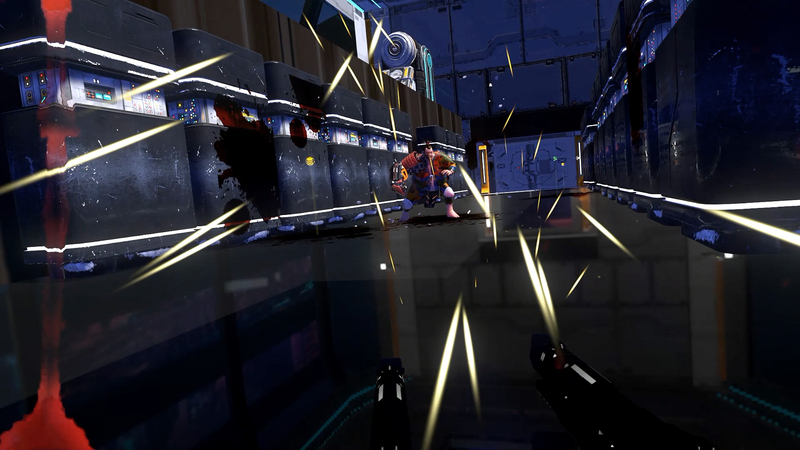 • Submit yourself to a visual treat fighting an assortment of enemies with smart AI. 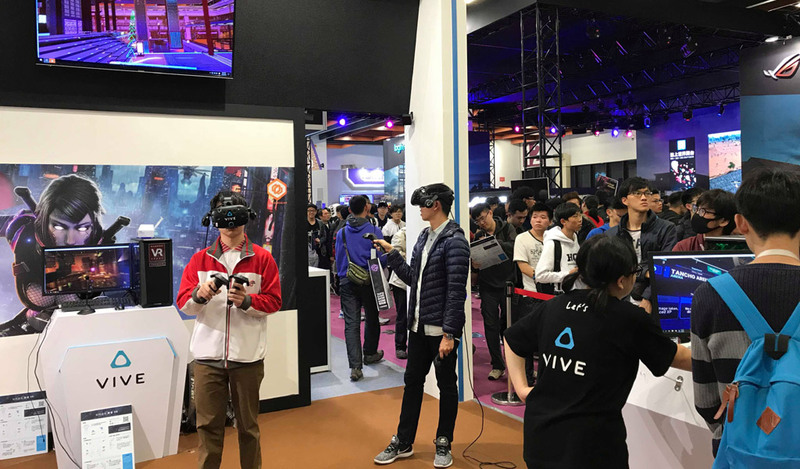 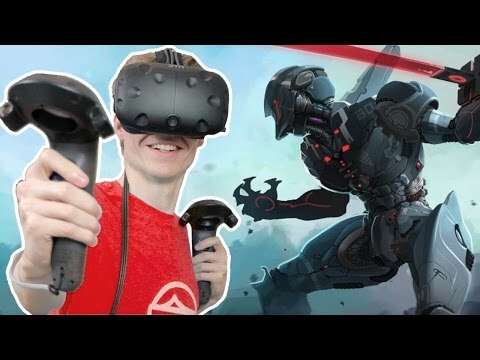 Already in more than 10 countries around the world, Sairento VR is a VR favorite guaranteed to draw in the crowds to your arcade! 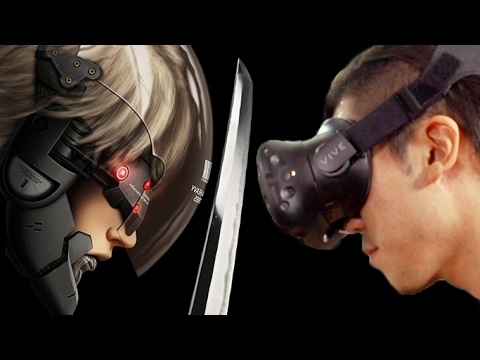 Contact us to discuss bulk purchase options for your arcade now. 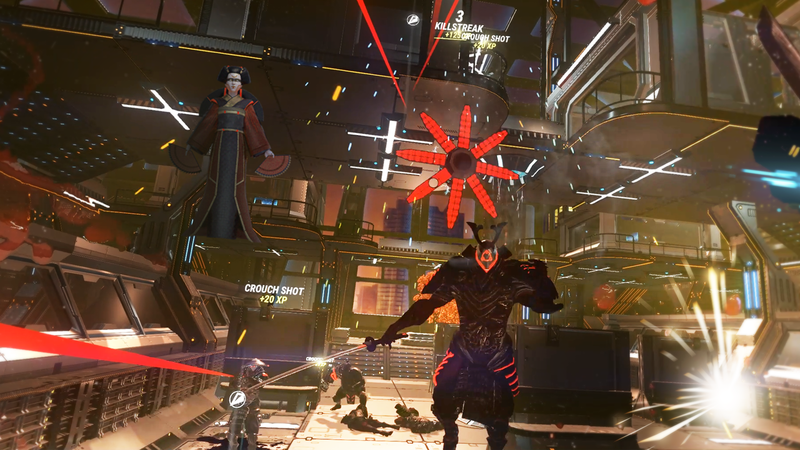 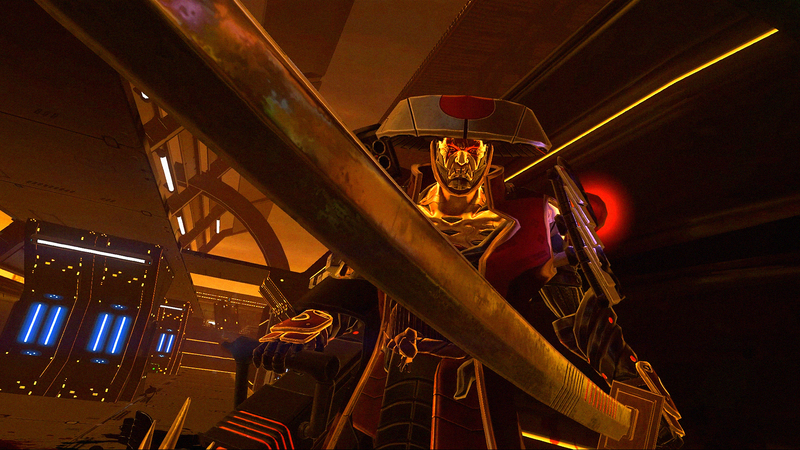 As one of the most popular VR action games, many of our fans desire to derive an even more immersive playing experience out of Sairento VR. 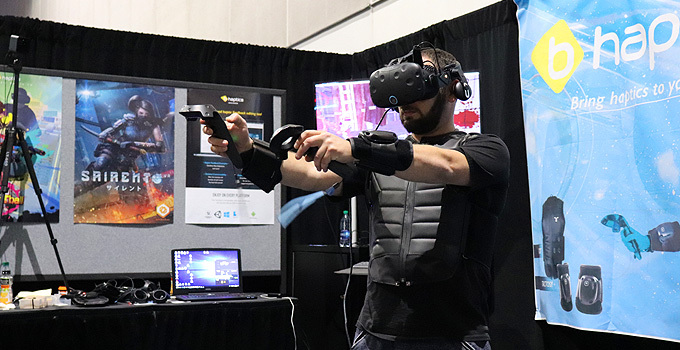 If you are a hardware manufacturer with an innovative product that can do just that, please contact us to discuss collaboration possibilities! 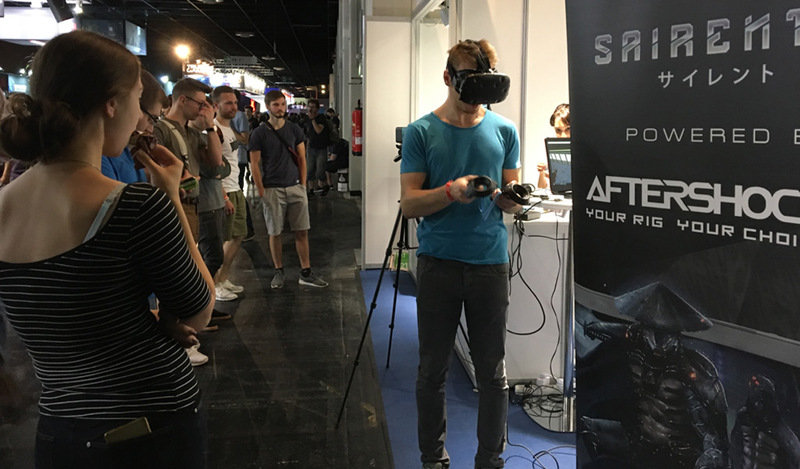 We are in partnership with bHaptics to offer our players the amazingly immersive experience of feeling enemy bullets and swords clash against their armors. 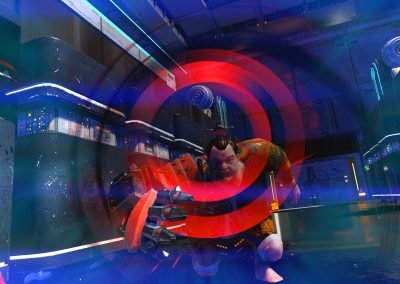 bHaptics’s 50+ unique haptic feedback zones target every muscle group responsible for delivering each real, gut wrenching reaction. 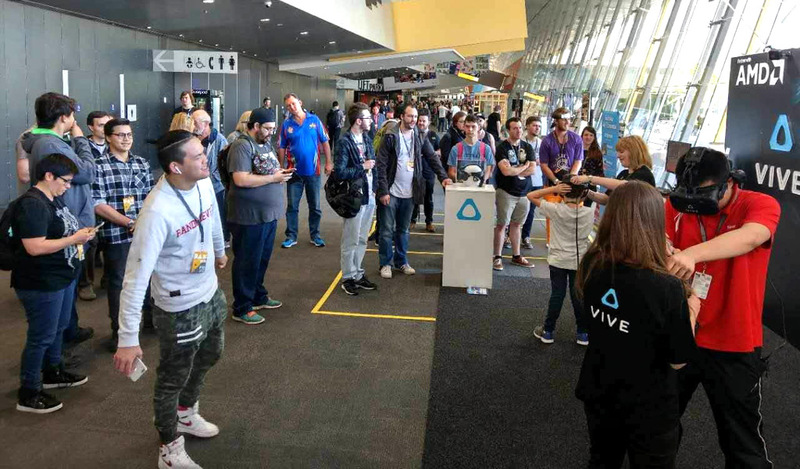 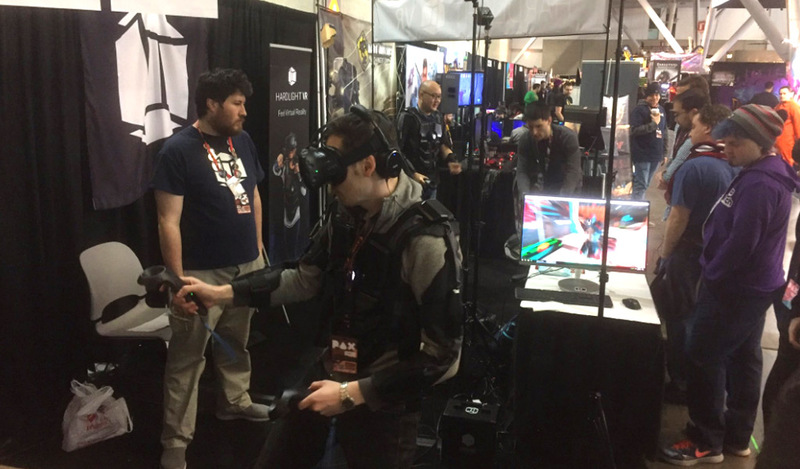 Sairento VR being demoed at Pax East. 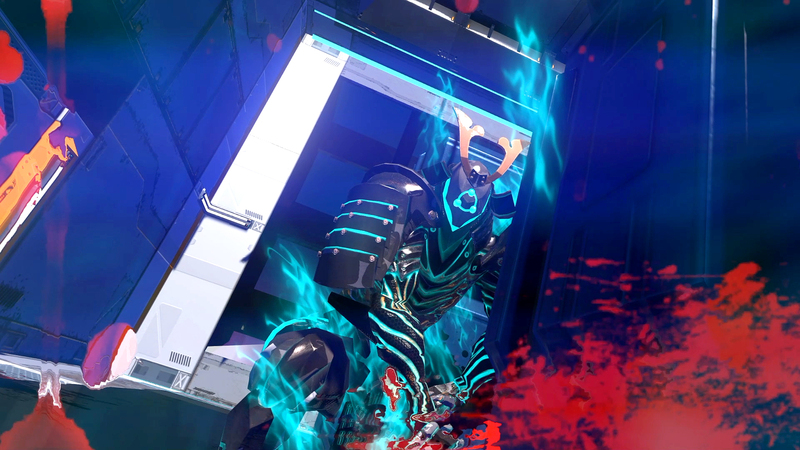 We are in partnership with Japan’s VAQSO to offer our players the unique experience of smelling the scent of blood and gun powder as they slay the multitudes of enemies in Sairento VR. 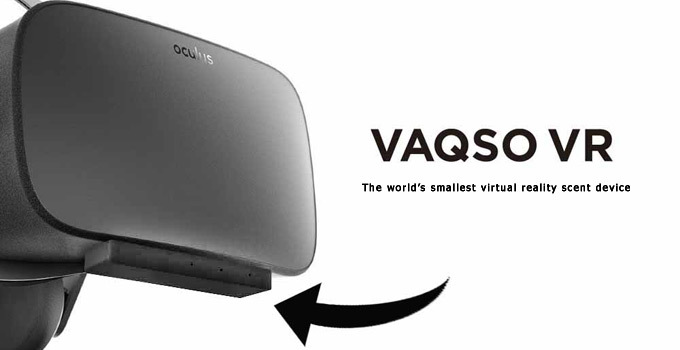 About the size of Snickers® bar, VAQSO VR – the world’s smallest virtual reality scent device – attaches to the bottom of any Virtual Reality Headset and further immerses users in VR contents by emitting realistic smells synced to their virtual environment. 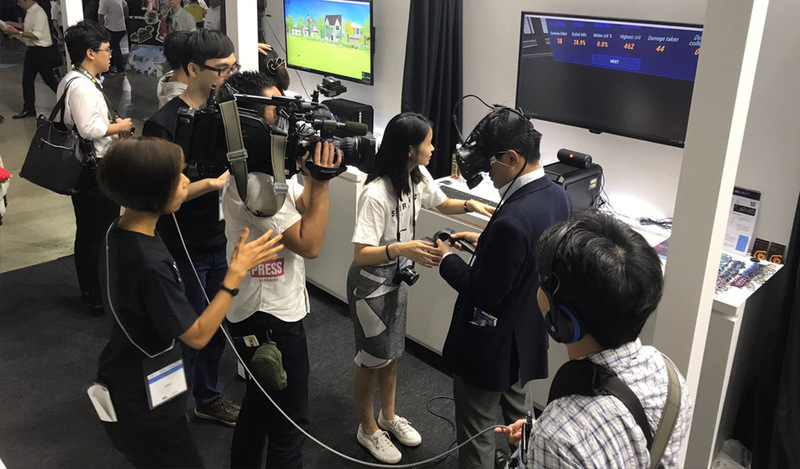 Sairento VR being demoed together with the VAQSO scent enabler at the 2017 Tokyo Game Show. 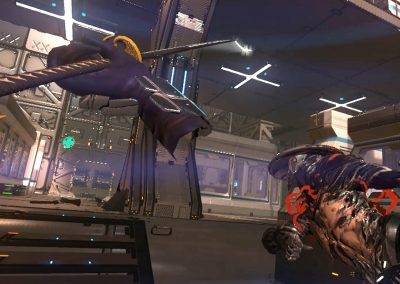 Cyberith’s unique VR simulators enables to explore Sairento VR by actually moving through it, like it was reality. 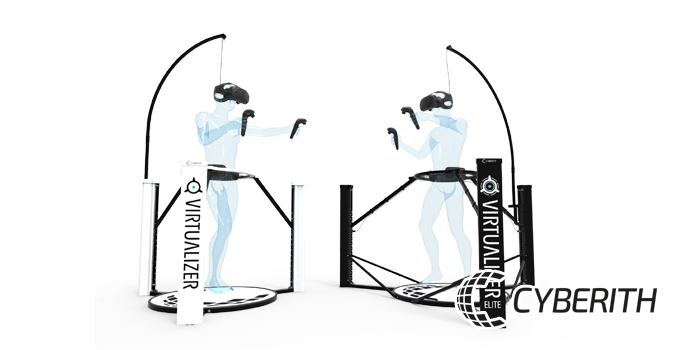 At the same time any users are kept in place safely by the Virtualizer, while being fully immersed in the game.